Nomadic is fortunate enough to have worked with Sherpas Cinema on several different projects recently. Traveling to Bolivia, Montana, and Himichal India with the Sherpas shooting as a 2nd camera, AC, and time-lapse photographer on a myriad of DSLR’s and the Red Epic. Following Kris Erickson, Conrad Anker, Hilaree O’Neil, and Johnny Collinson to these places made every step a true adventure. There is no doubt – this film will be far greater than the sum of its many parts. Into the Mind releases fall 2013. Hilaree O'Niel - White Sail Peak Expedition. Himichal India. 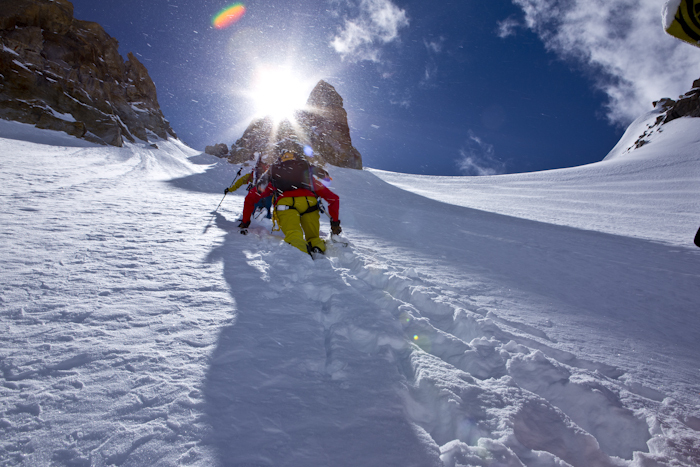 Into the Mind, Sherpas Cinema.